You may receive updates from Indigenous Environmental Network, the sponsor of this letter campaign. 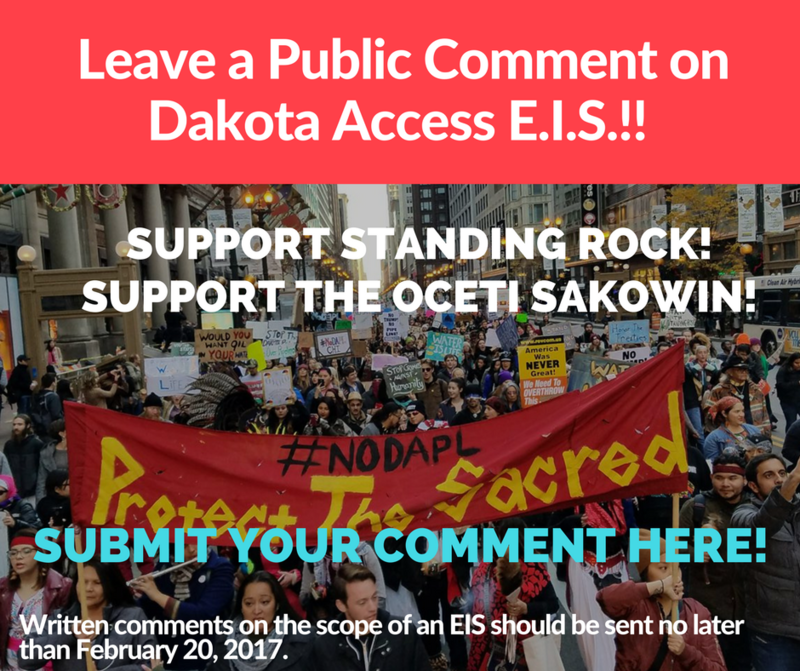 Submit a Public Comment for DAPL EIS! The fight against the Dakota Access pipeline is NOT OVER! Donald Trump is trying to seal the deal on getting this dirty Bakken oil project completed and we need your help to demonstrate that we are not alone in this struggle! The Department of Army has filed a notice of intent to complete an Environmental Impact Statement for the Lake Oahe crossing by the proposed Dakota Access pipeline - and they are now accepting public comments on the project! The Indigenous Environmental Network has created a pretty simple form for you to submit comments for the Dakota Access Pipeline Environmental Impact Statement (EIS)! We have created a pre-filled form but...we strongly encourage you to personalize your comment. Please Stand with Standing Rock and the Oceti Sakowin! Leave a comment! We have until February 20th, 2017 to leave comments!